I'm absolutely surprised and blown away by A World Between Us by Lydia Syson! I'd only been vaguely aware of this book previous to a tweet by one of the lovely ladies at Hot Key Books, but when I was offered it for review, I said 'yes' straightaway. And even though I'm not always the biggest fan of historical fiction, something about this book appealed to me. And when A World Between Us arrived, I decided not to delay any more and just to dive right into it. And right from the very beginning, I was absolutely fascinated by this book. 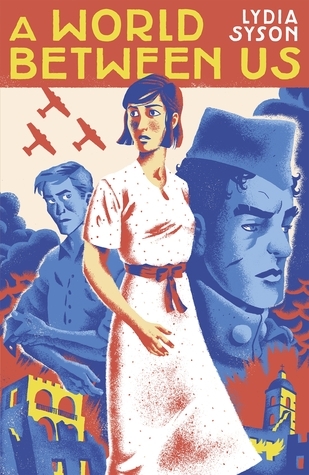 I think Lydia Syson does an incredible job balancing the story of this book told from the perspectives of its three main characters and also giving the reader a good sense of historical detail and what it would have been like during the Spanish Civil War in the late 1930s. This is a time period that I know absolutely *nothing* about, but I was gripped by it all. I found each detail about the horrors of war, the response from the media, and the many ways in which this war changed the lives of many people to be hugely interesting. I didn't want to stop reading this book and I read most of it in one sitting. I truly loved each of the three main characters within this book. First, there's Felix, a young nurse who on her way home one day stumbles into an anti-fascist protest in London. There, she meets Nat, this passionate guy who believes he can help the Republicans in Spain fight against the fascist regime of Franco. When Felix has the chance to follow Nat to Spain and volunteer as a nurse to help in this civil war, she does so not quite knowing the full extent of the horrors she will face there. And as Felix has followed Nat to Spain, so George follows Felix. George is an old family friend, someone who Felix has known for awhile but she has seemed to miss all the signs of his growing feelings for her until just before Felix flees to Spain. George manages to change his work assignment and ends up in Spain as a foreign correspondent covering the war. I can hardly describe how much I loved this book or why. I really fell for each of the characters and I was fascinated by the experiences that they each have. I loved seeing this war from three very different points of view. I thought the relationships between George and Felix and Felix and Nat were done very sweetly and these three really made my heart ache. This book began with some excitement and adventure and romance and it was very interesting to see how much the war takes out of all three of these characters and to see how each of their feelings begin to change. Right to the very last page, I found myself very emotionally invested in George and Felix and Nat and also about their shared cause of anti-fascism in Spain. Because I knew nothing about this Civil War previous to this book, I really didn't know how it would all end up! I finished A World Between Us by Lydia Syson with a happy smile on my face despite the tears. I'm really glad to have read it, to have gained a bit more historical knowledge than I had before and I finished the book absolutely inspired to read more about the Spanish Civil War and also to read more about history in general. I love being inspired in this way. 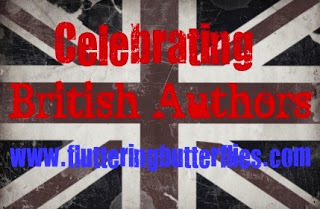 A huge thank you to Hot Key Books and to Lydia Syson for this. This book is out now, I highly recommend that you read it! I enjoyed this one too. It also left me feeling happy which, given the subject matter, was a tough outcome to achieve. Yes! I found myself with a big smile on my face when I'd finished and I was surprised because it isn't quite a happy book. Very impressed with how that happened. I bought this one just before Christmas as I love political history and that combined with YA is something I just cannot resist. Code Name Verity got me hooked on historical fiction and I determined to devour more of it this year. I'm starting this one tomorrow! I really must get around to reading Code Name Verity, as I've heard such good things. (And the sequel is being published towards the end of this year!) I really hope you love A World Between Us as I did :) The author has some great information on her website as well about the Spanish Civil War..